We need fitter welder with valid !! !welder certificate approved by class!!! 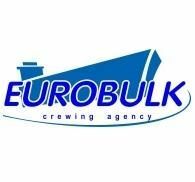 and previous experience in shipyards, for full contract 7+/-1 2000 USD p/m. Approx. departure time on about 20nd of April. With good English knowledge. For any question +380673295357 Valeria. For application forms crew@ontario-marine.com.